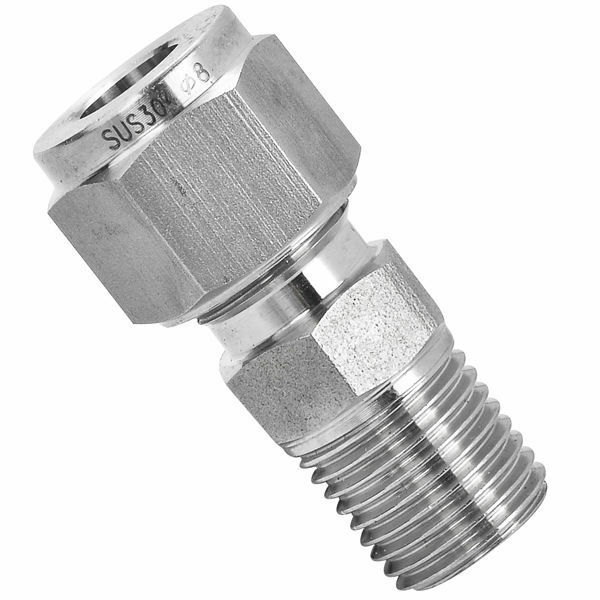 Stainless steel compression tube fitting male elbow is made of 316 stainless steel for resistance to scaling and corrosion,Stainless steel compression tube fitting has a double ferrule construction to reduce the possibility of leakage. Stainless steel compression tube fitting is suitable for use in high-pressure and high-temperature applications. Stainless steel compression tube fitting are compatible with stainless steel, carbon steel, copper, rigid and semi-rigid plastic tube. Accommodate metric tube O.D ranging from 4 mm to 16 mm and inch (imperial) tube O.D from 1/8" to 1/2"; thread sizes range is from R, PT, BSPT 1/8 to R, PT, BSPT 1/2, 10-32 UNF to 1/2 NBT, G, BSP, BSPP 1/8 to BSP, BSPP 1/2.